Zenith is one of the super interesting of watchmaking houses. Why do I say that? Well, for one, they were the first to develop an inhouse column wheel chronograph with an integrated automatic winding movement. This is the El Primero movement. Not only does it lay claim to that first, it is also the first to feature a 36,000 bph movement, allowing it to measure accurately down to 1/10th of a second. 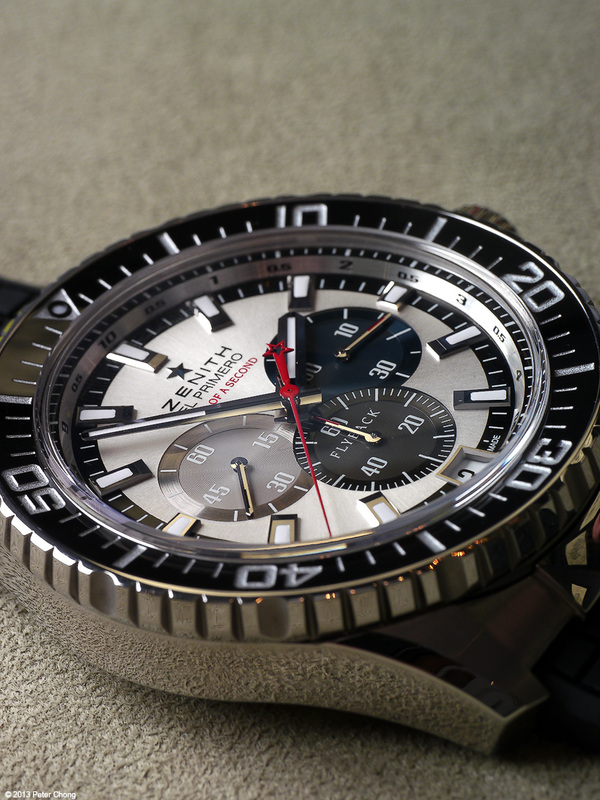 But the capabilities of the El Primero are well known and documented. 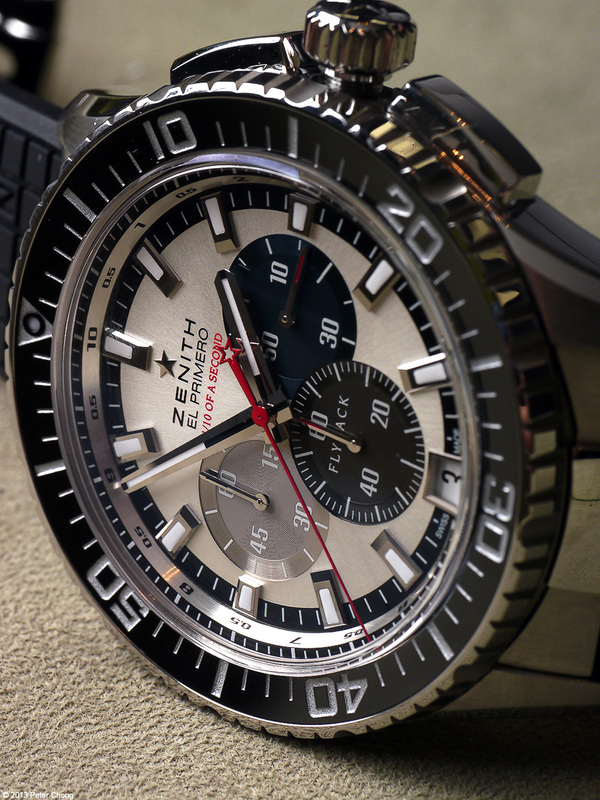 Zenith, under new leadership, also features a much improved the traditional watchmaking image. From a traditional watchmaker, they swung to the other extreme during what is now known as the Nataf years, where the watches took on a personality which is at the same time flamboyant and totally out of this world. Now under Dufour, the watches are moving back to the realm of the traditional, and definitely more desirable to the eyes of the collector. For the GPHG, Zenith squeezed in a special complication...the chronograph whizzes across the dial at the rate of making one complete revolution every 10 seconds. Mesmerising to watch, but also allows the watch, which already is able to read precisely to 1/10th of a second due to the fast beat El Primero, now easier to read as well. As usual, technical information is found at the official website here. The watch design is bold, and very striking...pardon the pun, and very attractive.